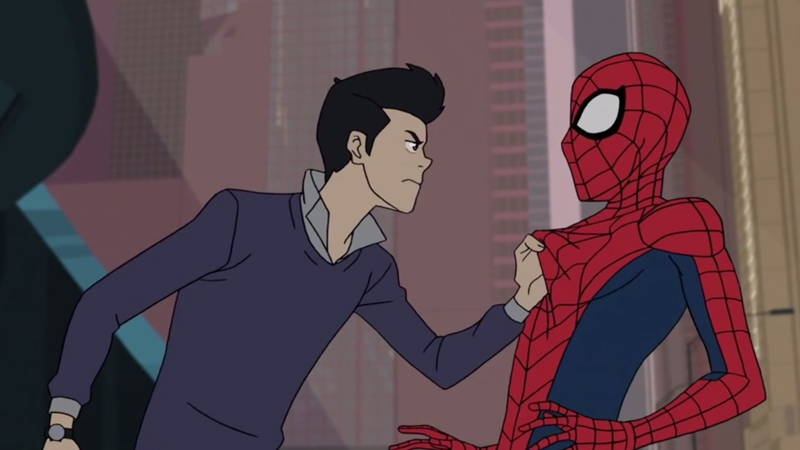 The new Spider-Man cartoon is a hard reset on what came before, bringing Peter Parker back to that familiar place of the fresh young teen trying to balance newfound power with the responsibility of school life. But, for all the trappings of familiarity, the show is laying some interesting new groundwork for one particular relationship. The first three episodes of Spider-Man have aired on Disney XD, and much of it is what you’d expect from a high school Spidey series that takes place in the earliest days of Peter Parker’s webslinging career. There’s a slight twist in that Peter (voiced by Robbie Daymond) finds himself attending Horizon High, a science-focused school for geniuses (and, seemingly, Spider-People, given that Anya Corazon, Miles Morales, and Gwen Stacy are in attendance) instead of Midtown High School. A lot of the show’s focus is on how Peter balances saving the day as Spider-Man while keeping his superheroic secret from his friends and family, meaning he’s perpetually late for school and other events. Spider-Man does try to shake things up a little bit, but it feels a lot like the zillions of other versions of teenage Spider-Man we’ve seen on pages and screens for years. You can feel the creators trying to differentiate, with the aforementioned school setting and how it highlights the science-nerd side of Peter’s personality more than most incarnations do. There’s a lot of talk about the pressure of his webshooters; other scientific theories behind Pete’s spider-exploits also play into this angle. 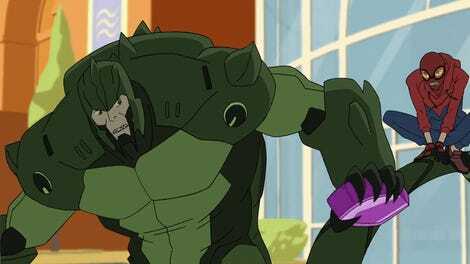 However, the biggest divergence so far with familiar Spidey plot beats is something that the show’s building up as a big mystery for season one: Peter’s relationship with his best friend, Harry Osborn (Persona 5 and One Punch Man’s Max Mittelman). In the universe of Spider-Man, Harry is a Horizon High student who gets suspended after a sabotaged demonstration at Midtown goes awry. He gets blamed for the chaos, because of the machinations of Spencer Smythe (who, in the comics, created the Spider-Slayers, an army of robots designed to kill Spider-Man). Here, Smythe is an alarmingly sinister science teacher at Midtown desperate to get his son into Horizon through absurdly nefarious means. Almost immediately, Harry’s place at the lauded school is offered to Peter for his part in helping stop the experiment-gone-wrong, creating an underlying level of jealousy between the two friends. This shift places an otherwise incredibly privileged Harry—who at one point boasts that if he can’t get back into Horizon, his dad will just make a better school for geniuses that he can go to, something that actually happens—at a rare disadvantage to someone like Peter, who’s from a family struggling to make ends meet in the wake of personal tragedy. It’s not resentment over class differences that drives a wedge between Peter and Harry—it’s secrets, and not just Peter’s new one that he’s moonlighting as a superhero. That secret does play a major part in the downwards turn of the teens’ friendship, as Harry makes it a personal quest to unmask Spider-Man, believing he was involved in the accident that got him suspended. On the other hand, learning what Harry’s hiding becomes a chain of uneasy discoveries for Peter, because the younger Osborn has a lot of weird, dark secrets that start to get uncovered over the course of the first three episodes. Specifically, that experiment that Harry was working on at Horizon before he gets suspended looks an awful lot like Green Goblin tech (although that’s more something for the audience to realize instead of Peter). This revelation suggests that even before Spider-Man came on the scene, Harry was already being led down a nefarious path by his father. It’s a significant change, one that hints that the Osborn family’s legacy as costumed supervillains in this universe isn’t just a reaction to Spider-Man’s existence. So far, it all seems like it’s leading to a confrontation between the two as Spider-Man and the Goblin, but for now, the idea of Peter and Harry having to keep costumed double-lives secret from each other makes for a drama I wasn’t expecting out of the show. Other incarnations of Spider-Man, both in the comics and beyond them, have tackled Peter and Harry’s relationship as being built upon secrets before, but it’s always felt like a lot of it is derived from how Peter’s secrets impact upon Harry, rather than the other way around. 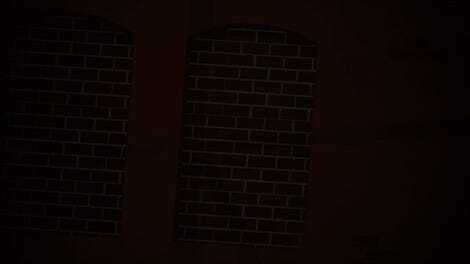 Seeing the secret lives of these two friends, and them having to dance around each other to keep them that way, is so far one of the more intriguing aspects of this new cartoon Spider-Man—and definitely one of the more surprising things to come out of Marvel animation’s post-Earth’s Mightiest Heroes malaise of less-than-stellar animated offerings.